Home » Germany » How Much Does It Cost to Study In Germany? How much does it cost to study in Germany? Why many students prefer Germany for higher education? Know answers to all your questions about studying in Germany. After their class 12 or undergraduate studies are over, many children want to step abroad for the next step of their educational journey. There are many advantages to studying abroad. You get to meet new people, be exposed to different cultures, hone language skills, travel and learn how to be independent. When it comes to studying abroad, Germany is a very popular destination. The country offers some of the best colleges in the world with academic programs that balance research and practice. Their programs also put students at an advantage in the global labor market. When you decide to study abroad, one of the first questions that come to mind is, ‘how much will this cost?’ One of the reasons for Europe’s growing popularity as a higher education destination is the comparatively lower cost to study in Germany as compared to the USA. If you’re planning on studying in Germany, the one thing you will not need to worry about too much is tuition fees. Public universities in Germany do not charge tuition fees for undergraduate courses. This is because most of these colleges are funded by the government. However, private institutions may still charge tuition fees. In private colleges, tuition fees can go up to 20,000EUR per year. Tuition fees are also payable for most Masters and Ph.D. programs. In the case of undergraduate courses, instead of tuition fees, students must pay a symbolic fee known as semester contribution. This fee covers administration costs and a bus ticket for the semester. The semester contribution varies from school to school but is usually between 150 and 250 Euros. It must be paid at the beginning of every semester. However, this does not mean that studying in Germany is completely free. Here are some of the costs that should be considered when applying for admission to Germany Colleges and Universities. When it comes to studying abroad, the expenses add up even before you leave your home country. As with a college in India, you will need to pay a certain fee to receive the prospectus and forms for the colleges you intend to apply to. This amount varies from college to college. In addition to this, you must have a valid passport and will need a student visa. For the Indian students, if you do not have a passport, the cost of getting a new one made to extending your current passport is INR 1500. If you are applying through the tatkal route, you will need an additional INR 500. The cost of applying for a German student visa is EURO 60. In addition to these fees, you may have to pay embassy fees, consultancy fees, courier charges etc. Students will also have to prove that they have access to at least 8,000EUR per year. This could be in the form of a bank statement, recognized scholarship or income statement from the student’s parents. Another major expenditure you will need to keep in mind when calculating the cost to study in Germany is the flight ticket fare to Germany. The earlier you book your tickets, the lower will be the airfare. If you are an Indian student, the average cost of a one-way air ticket from Bengaluru to Munich is INR 30,000. This will also help you get an approximate idea of the cost of coming home during the holidays. While students do not have to pay a tuition fee in Germany, they will still have to pay rent for their accommodation and buy food and groceries. These expenses depend largely on the standards you maintain. The city you live in also makes a lot of difference to your cost of living. Larger cities are usually more expensive than small cities. 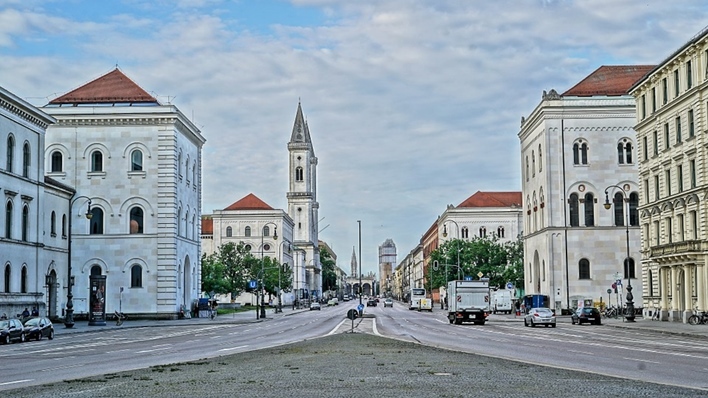 Munich is said to be the most expensive. Renting an apartment can cost anywhere between 210EUR and 360EUR. To reduce this cost, many students opt to share apartments with other students or live in dormitories. Dormitories and campus residential homes are always in high demand and hence should be applied for well in advance. Food and grocery costs vary from individual to individual. The easiest way to reduce this cost without compromising on your health is by cooking your own meals. Entertainment costs are another aspect of a student’s cost to study in Germany that can easily be controlled. The semester contribution is inclusive of a public transport ticket. This allows the student to use all types of public transport at no extra cost. Students are also eligible for a number of discounts in terms of concessions for theatre entrances, museums, cinemas, opera houses etc. One of the first things a student will have to do in Germany is, get health insurance. Most international health insurance policies are not recognized inside Germany. For students below the age of 30 years, health insurance typically costs around 80EUR. Students over the age of 30 years will have to pay double that amount; 160EUR for health insurance. This is a non-negotiable expense in calculating the cost to study in Germany. Apart from the above points, students also have a number of other expenses. International students traveling to Germany from warmer parts of the world will have to invest in winter clothing as the temperatures in Germany can drop quite drastically. Students will also have to put aside money for books, stationery, and other such learning material. Renting books or buying them second-hand can help reduce the cost to study in Germany a bit. However, there will still be plenty of things you need for a class that must be bought. Students will also have to put aside part of their monthly budget for cell phone services and data. If you have an apartment to yourself, you might also have to look into the cost of appliances such as a TV, microwave, stove etc. On an average, students who have graduated from colleges in Germany have managed to stick to a budget of around 850EUR per month. There are a number of scholarships that can help fund a student’s education. These scholarships can be availed of from the student’s home country or from Germany. Students are also allowed to take on certain types of part-time work to help fund their studies.